Classic Chocolate Peanut Butter No Bake Cookies are classic for good reasons; everyone loves them, they are extra quick and easy to make, they store for quite awhile, they’re made from simple ingredients, and they’re just so darn yummy! 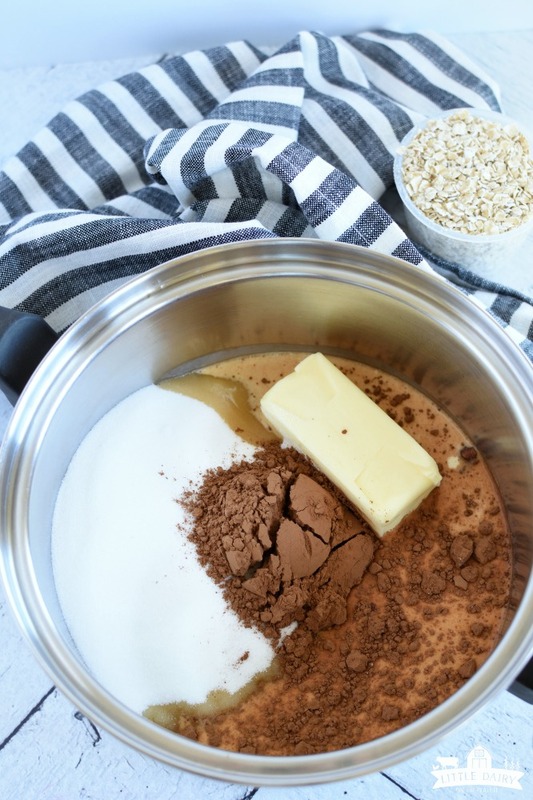 Check out my tips and tricks for making perfect no bake cookies every single time! 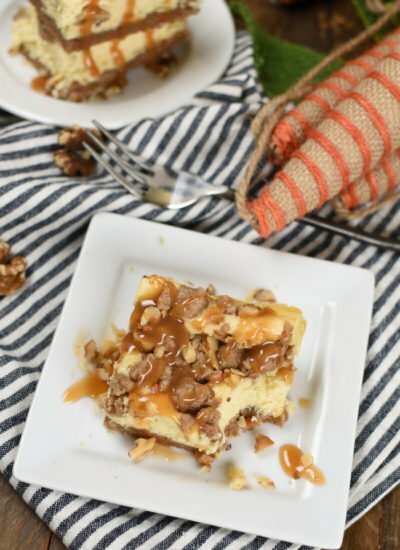 I have a feeling this will be your new go to recipe! Classic No Bake Cookies are a simple and super popular dessert, yet not all No Bake Cookies are created equal! No bake cookies are like people, they come in all shapes and sizes; tall, thick, short, and thin. Some are so dry and crumbly you have to have a whole glass of milk to wash them down. My friends, these are the BEST no bake cookies ever! I’ve been using this recipe for years and really never planned on sharing it with you because the internet is flooded with traditional peanut butter chocolate no bake cookies. I’m finally sharing it with you and it’s for selfish reasons. Everytime I make these cookies I have to scrounge around to find THIS recipe. You see I have about a billion recipes at my house and it’s easy to lose one. I’m not sure what happened to me, but since I started keeping the farm books I have a waaaay too many numbers bouncing around in my head at a time and don’t have room in my brain for remembering how many cups of sugar a recipe takes. I gotta have the recipe! So, I’m adding this recipe to my blog so I don’t have to search high and low for this recipe anymore. It’s my go to recipe when I’m in a huge hurry and digging through piles of recipes slows me down. Not anymore! It’s right here on this trusty little cookie collection of mine! Now you have it too! Your welcome! 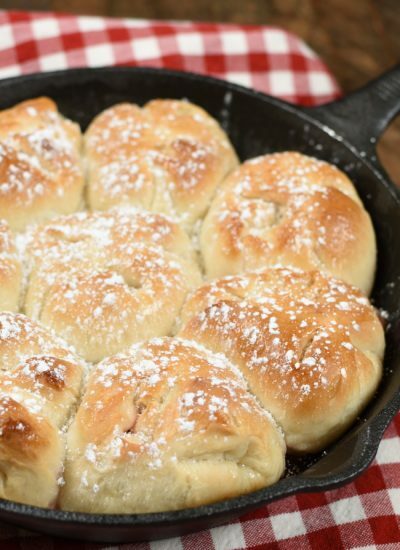 This recipe uses ingredients you probably always have on hand, and that’s a bonus when you live in the middle of nowhere! 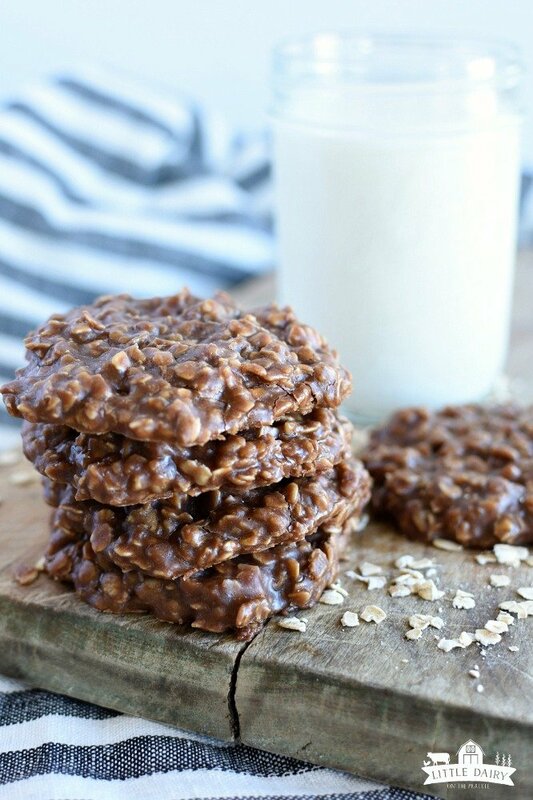 How to make the perfect No Bake Cookies? You’re probably wondering why I think I have the upper hand when it comes to no bake cookies! Well, there are a few little tricks I’ve learned that make all the difference! Make sure you have all your ingredients ready before you start because once the mixture is boiled you’ve gotta be ready to move! Use real butter…it’s the only way to go! 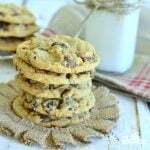 Evaporated milk works perfectly in these cookies! I always use quick oats because that’s what I have in my food storage. How long do I boil No Bake Cookies? Timing is everything when making no bake cookies, it makes all the difference! If you boil the mixture too long your cookies will be thick, and dry. 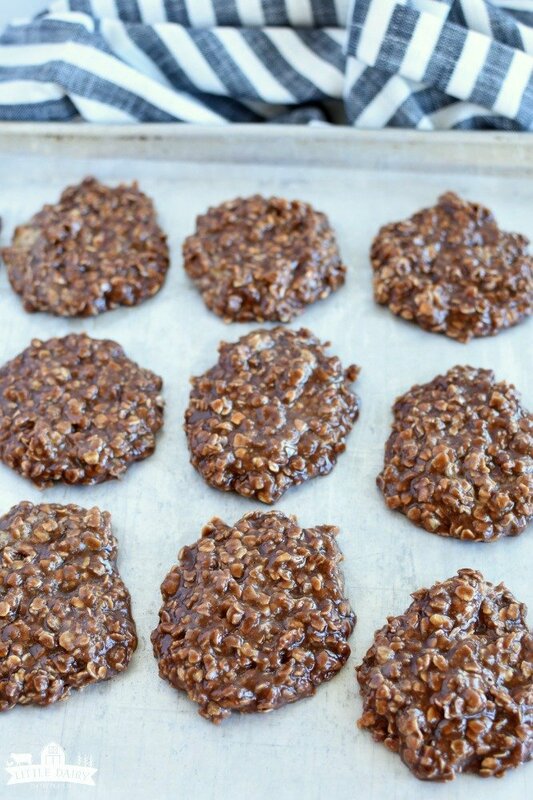 If you boil the mixture for too short of a time no bake cookies will be runny, sticky, and won’t set up properly. 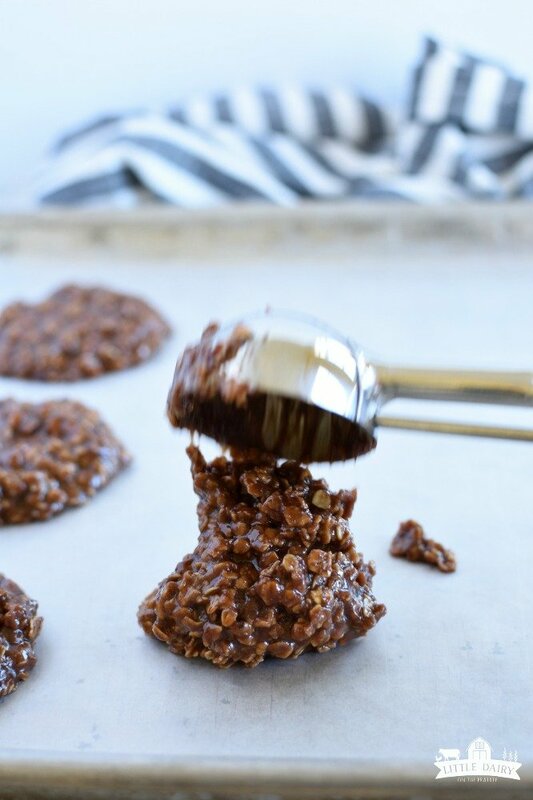 The perfect amount of time for boiling no bake cookies is 1 minute…not a second over! Start timing as soon as the mixture begins to boil. No need to wait for a full rolling boil. Boil the cookies over medium heat so they don’t scorch on the bottom, or cook too fast. Remove cookies from the heat as soon as they’ve boiled for 1 minute. 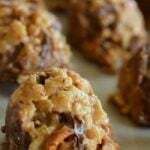 Tips for dropping no bake cookies. As soon as you stir all the ingredients together you want to drop them on a baking sheet. If you wait, even for a few minutes, they will set up resulting in a thick, dry cookie. Line baking sheets with wax paper, or parchment paper before you start making cookies. Get a cookie scoop ready too. After you drop a cookie on the baking sheet spread it out just a little bit with the back of the cookie scoop to create a thinner cookie. Hurry though! The cookies still need to be warm and soft or else they won’t spread. Do I need to refrigerate no bake cookies? Nope! I never refrigerate my no bake cookies! 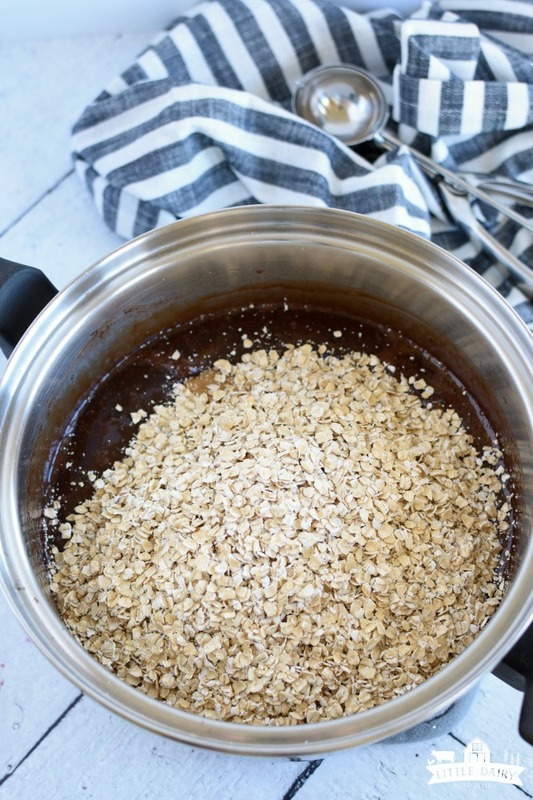 As the cookies cool the oats will absorb some of the moisture from the chocolate mixture. Speeding up the process by cooling them in the fridge will change the texture of the cookies. How do I store no bake cookies? Can they be frozen? After cookies have cooled remove from cookie sheet and store in an airtight container at room temperature. No bake cookies can be stored for up to two weeks, although I must admit mine have never lasted that long. No bake cookies freeze will. Freeze them on the baking sheet. Remove from baking sheet. Stack. Freeze in an airtight freezer container. 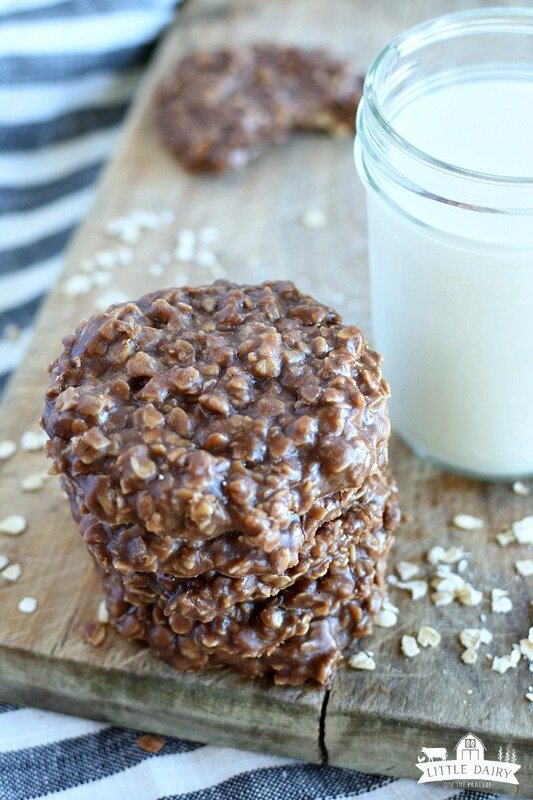 No Bake Cookies are just right for adding to lunchboxes. What does that have to do with what’s happening on the farm? First of all my kids are still eating way too many lunches because they are out working at all hours of the day and night. There are way too many days when they simply don’t have time to come home to eat. So, they are getting plenty of practice at driving and eating at the same time! Don’t worry, it’s farm equipment not driving down the interstate! Anyway, these cookies are perfect for delivering to the fields because everyone in my family needs a good chocolate fix at least a few times a day and these chocolate cookies don’t melt! Perfect for hot summer days! They are also awesome for throwing in school lunches too. And since we are talking about school, I’m going to tell you about this picture. My boys just don’t like school. They never have. They never will. We have way to many exciting things happening on the farm to mess around with school. Please understand I know an education is important. They do their homework and all three of them are planning on furthering their education at college. It’s just more fun to be out hands-on on the farm. Payson, my youngest was struggling with one of the concepts his teacher was teaching him at school. The teacher didn’t think he was going to get it. I worked with him at home and he owns that concept now! A few days after his teacher called me I went downstairs and saw how he had is little farm set up…complete with animal reproduction happening! That’s when I thought to myself, he might not understand why a g makes two different sounds but he has the most important concepts in life figured out! I bet the other first graders didn’t know about that! Classic Chocolate Peanut Butter No Bake Cookies are always a good choice, especially on hot days and super busy days! 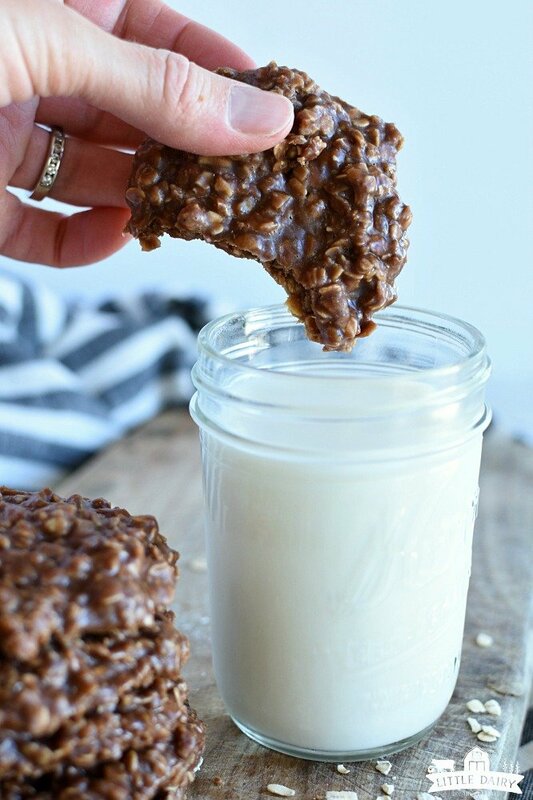 If you’re looking for the perfect no bake cookie look no farther! This is it! Oh, and I have to ask…who’s dreading school being right around the corner? We’re dying and crying over here! My boys would much rather work outside than be cooped up in the school! Crayons are overrated anyway! Regardless of how we feel about school it’s almost here and Classic No Bake Cookies are always a great cookie to add to the kids lunchboxes! Classic No Bake Cookies are a simple and super popular dessert, yet not all Classic Chocolate Peanut Butter No Bake Cookies are created equal! This recipe gives you cookies every single time! They are easy to make, but you have to be sure to boil the mixture for only one minute! Measure peanut butter, oats, and vanilla. Set aside. 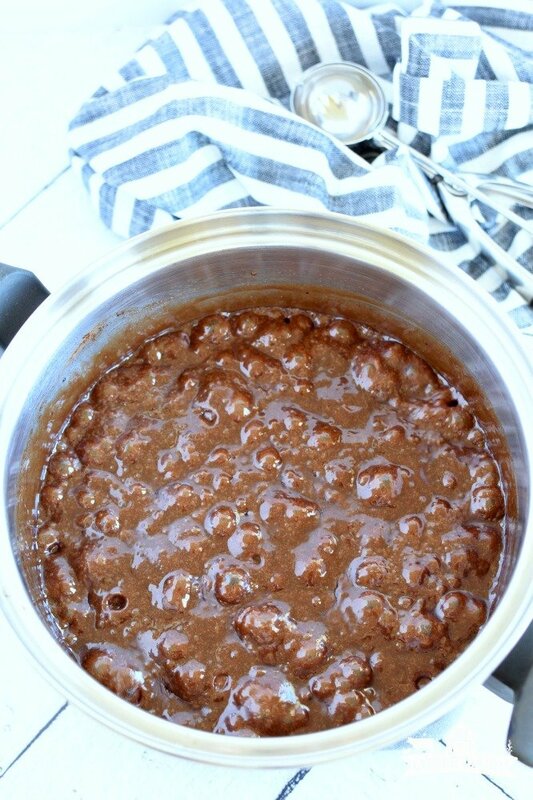 Bring butter, sugar, milk, and cocoa to a boil over medium heat. As soon as the mixture begins to boil time for 1 minute, then remove from heat. Add vanilla, peanut butter, oats, and salt. Stir. Quickly drop on prepared baking sheet. Let sit until completely cooled and firm. The kids absolutely love these I cannot make enough!! They are a classic for a good reason! I love how easy they are to make! It’s way too hot to turn on the oven, but we still NEED cookies! Yummy! 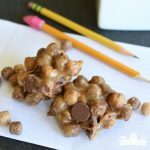 These will be perfect for easy school-lunch treats! I don’t even want to think about packing lunches for school, or having my kids have to go to school! As long as lunches must happen, they just as well have these cookies in there! Oooh, these look heavenly! I love these so much!!! Thanks! 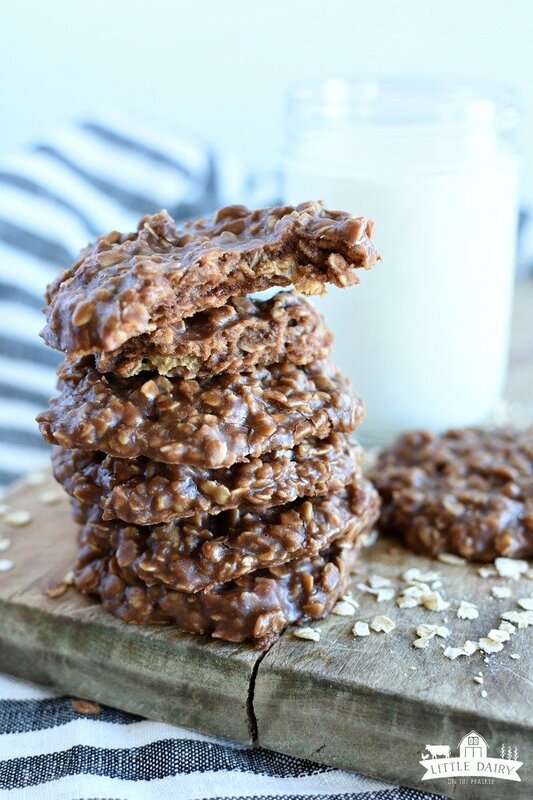 There’s nothing quite like a classic no bake cookie! These look so delicious! My kids love no bake cookies! They are always popular with the kids! Oh these sound tasty! Nothing beats the classics! Yes! They are classic for a reason! These ones are just right! These are a perfect treat! My kids will devour this in no time! Every mom needs a few quick treats that are always a hit! These cookies are exactly that! Enjoy! I haven’t made these in years. they are delicious. I always foret about these cookies too, that is until my kids remind me! They never forget about them! These take me right back to my childhood. My grandma and I in the kitchen. I’m so happy to have these measurements!! Thank you!! What a fun memory! I hope you enjoy every moment of making, and eating these cookies! 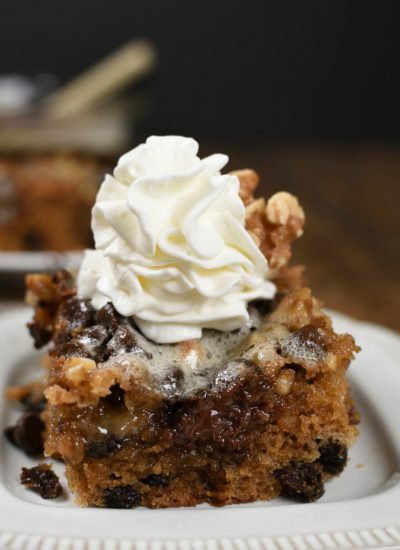 i love this recipe and it is so good. You could always substitue shredded coconut for a portion of the oats if you’d like! That’s always a tasty twist on the classic! Good luck! My brother requested no bake cookies for Christmas. So I followed your recipe to the letter (I’m not very experienced in the kitchen) and I gotta tell you, they turned out perfect. Delicious! Who knows, this may be the start of more time in the kitchen for me. Thank you so much. Yay Joe! It’s so exciting that you are enjoying your time in the kitchen! This cookie recipe is a great place to start! Glad you enjoyed them! I just made cookies and the are delicious . Thank You for the recipe . Yay! I’m thrilled you enjoyed the cookies as much as we do! Aren’t they so easy? That’s one of my favorite parts! By reading your tips/instructions, I found several things I have done wrong. 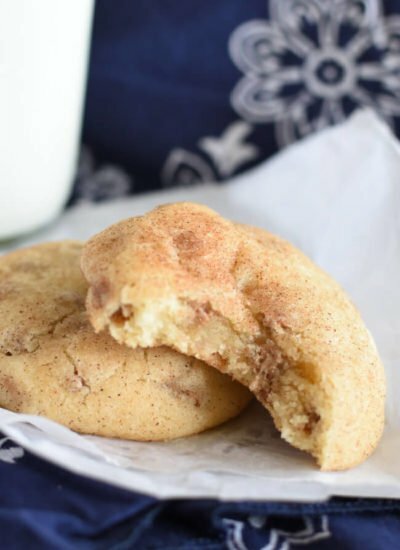 Can hardly wait to make these cookies again, your way! Thanks, Linda from Bowling Green, KY.
Hi Linda! It’s amazing how there are so many different recipes, and different ways of making a simple recipe like No Bake Cookies! These little tricks have helped me get them just right every time! I hope you enjoy them as much as we do! Best of luck! Amy, thanks! Made this last night so quick, easy and tasty! Aren’t quick and easy recipes the best? I’m glad you enjoyed it! Amy, thank you very much! I like this cookies! Wonderful combination of ingredients. It look so yummy! Hi Olga! I’m glad you are enjoying these cookies! They are’re so quick and easy to make! Amy, that recipe looks so yummy! I’ll have to try that one. Thanks for sharing. 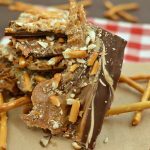 I know there are a million classic no bake cookie recipes out there, but this one is always a hit! Enjoy! These look great! Can I use natural peanut butter or are they better made with a blended peanut butter? Thank you! Thanks! Yes, I have used natural peanut butter before and it worked just fine. Be sure it’s stirred really good before adding it to the cookies. Enjoy! Amy, WOW! so simple, yet SO tasty! This is fantastic, yum. Thanks for the recipe. Aren’t simple recipes the ones that you make over and over again! Enjoy!